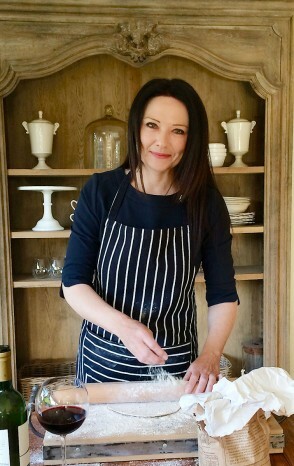 Glen Carlou Wine Estate produces three different Chardonnay styles, two of them are wooded and the third is the Glen Carlou Unwooded Chardonnay 2016. Interesting about this wine is that it was fermented in what is known as a Nomblot Egg, a a porous clay egg shaped cement tank which allows for natural oxygenation. 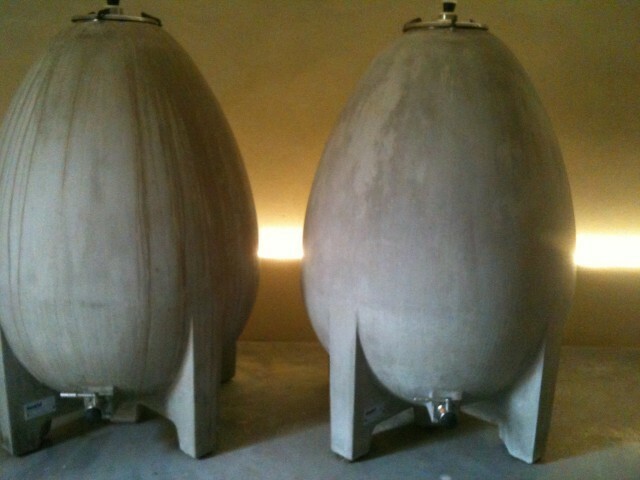 The tank has another benefit, as the temperatures rise in the wine due to fermentation, the wine moves in a vortex, within the angle free Egg the vortex turns naturally for weeks, which raises the lees, and nourishes the wine with added flavours. This means minimum intervention in the winemaking process. Packed in a clear flint Burgundy shaped bottle under screwcap with an elegant white label. In the glass, it is gem bright with youthful flashes of lime green when held up to the light. 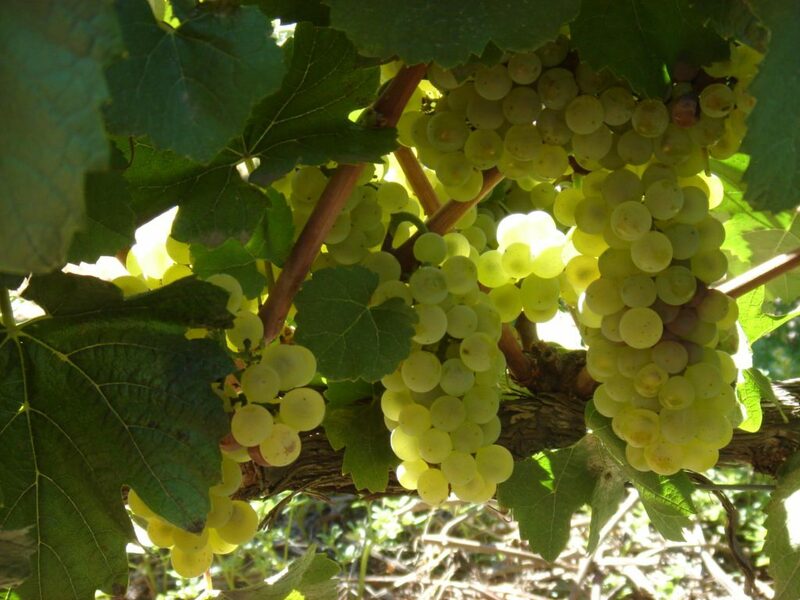 Squashed sweet tropical limes and ripe white fleshed peaches. Quince and desiccated pineapple, soft, creamy with an appearance of sweetness even though the wine falls well within the requirements of a dry wine. Lovely acidity carrying through to the long aftertaste. This is the perfect aperitif wine to bring your palate up to speed for a good meal. 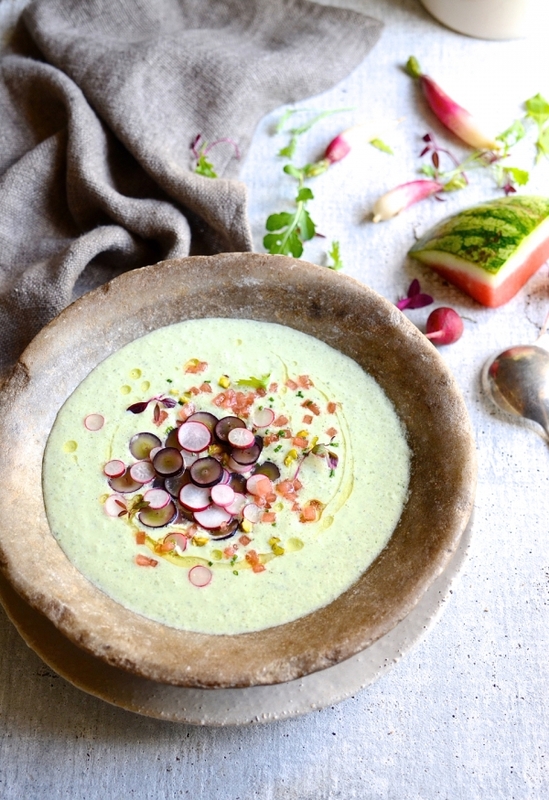 The perfect first course is Dianne Bibby’s Chilled Cucumber Soup with grape & watermelon salsa. Perfect for the end of our summer season with grapes and watermelon in all our shops. Click here for her recipe.